In August of 2016 our friends and family in Baton Rouge were faced with a terrifying reality. Everything they owned, taken away from them by mother nature. Their lives changed forever by the disastrous floods that buried Baton Rouge and surrounding areas in 8 foot or more of water. 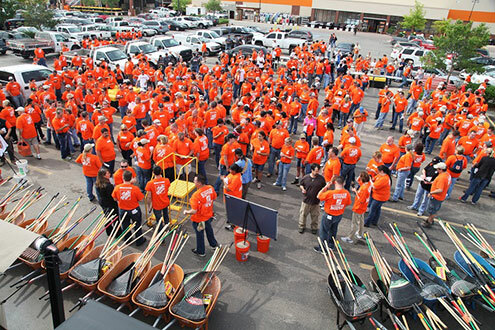 In typical Home Depot fashion, The Home Depot sprang into action, sending buses and vans full of volunteers from states like Michigan, Texas, Florida and Georgia to help the great people of Louisiana try to pick up the pieces. When we got down there, after the water had receded, what we found was a city full of determined people who you would not think just had a lifetime of possessions taken from them and even some loved ones. What I saw that week was a community where everyone lost everything but embraced what they still had. These were the most cordial people that I ever dealt with in my 20 years with Home Depot. They had no reason to be upbeat but the stories flowed in as I talked to every customer that came in front of me. Some of these people had 2 to 4 foot of water ravage their house but there they were, picking up product to fight mold after tearing out the walls of the house that they built a lifetime ago. One guy came in buying light fixtures. “Don’t tell me that the water got to the ceiling?” I asked. “No, it got past the ceiling and into the second story.” He replied. The stories were incredible and the people were too. This was the case time and time again. Over 60,000 homes were put under water with that flood and just like on 9/11, a city hunkered down and became closer and more determined than ever to keep moving forward. This was my 5th disaster relief trip with The Home Depot. While I can’t say enough about the incredible people of Baton Rouge, Louisiana, there is one more to discuss. That is the company that hired me 20 years ago come February. In my 20-year career with the Home Depot, I have helped the fine people of Florida recover after hurricanes Charley, Frances and Ivan destroyed their homes in 2004 in what looked like a war torn, third world country. I also got to help the fine folks in Galveston and Corpus Christi after hurricane Ike made landfall on September 13th 2008 as a category 4 hurricane. The Home Depot has incredible resources when it comes to disaster relief and helping people put their lives back together. I have seen this first hand while unloading truck after truck of generators, tarps, cleaning materials, water heaters and more. I also was very lucky to spend the week in Baton Rouge with 32 incredibly hard working associates from the Atlanta market known as Team Teresa. Thank you Teresa Chapman for your amazing leadership and being right beside us in the trenches at the same time. Thanks to Angela Wires, Joe Richie, Paige Wood, Josh Molnar and Christy Myers for what was a seamless trip due to your leadership and getting us back home safe and in one piece. Thank you Lori Moore 0139, Sheila Mesaros 6942, Candace Boulware 6861, Debbie Miller 143, Elisha Blevins 151, Donna Paulson 6861, Nathan Shepherd 133, Jodi Askea 151, Larry Pugleses 6861, Cara Kelly 6861, Travis Hendrix 143, Tammy Kilgore 139, Maria Woodward 139, Karen Cooper 132, Austin Steed 132, Nicholas Poulson 132, Patrick Ledbetter 133, Ashley Williams 143, Roxanne Richardson 143, Eduardo Melendez 6861, Drew Birchfield 6940, Moris Williams 6941, Matt Brook 6942, Larry White 6942, Dean Bryenton 8924, Mary Anne Day 8924. You guys and gals were part of an amazing team that made a huge impact in the lives of people who are dealing with the hardest times they have ever faced. In my 20 years, I have never been so blessed to work beside such an amazing group of people and would like to say thank you so much. 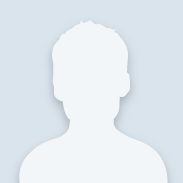 Ingar Nygren 0151. Thank you to you and all the Home Depot associates who worked to help the people of Louisiana recover from a devastating, life altering experience. Home Depot signifies “home improvements” but you all represented our company with aiding and helping the basic needs for "life improvements".